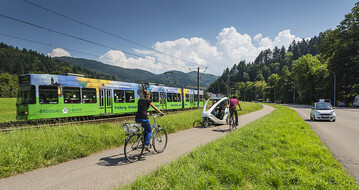 The "Green City Freiburg" offers you many opportunities to visit and get in contact with various institutions in the field of solar power, sustainable lifestyle, environmental education, biodiversity and many more. You can find out more about the initiative and green businesses here: Green City Cluster. 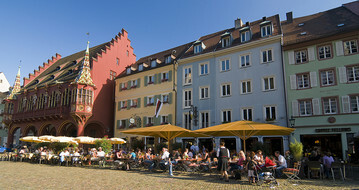 More information and useful downloads are provided here: City of Freiburg. Almost all convention venues are located within short walking distance in the city center. The most important sites can easily be reached by foot and if you ever get tired you can call an eco-friendly bicycle taxi. Cathedral, small streams, delicacies and wine paired with sustainability - you will find all of this and much more in Freiburg. by bus, train, car or plane. Here you can find information and useful links for your arrival. It is with some justification that Freiburg regards itself as one of the birthplaces of the environmental movement.